specialist who will analyze your skin, help you improve your complexion and show you how to take proper care of your skin. this causes the skin to become sensitized. A good esthetician will work with you to create a home care regime that will be both easy to use and work with your individual skin type. Skin type is determined by pore size, tone, and texture. It is also determined by oil production, called sebum. Most importantly a facial will relax you. A spa offers a serene environment that encourages stress reduction. Facials not only help your skin, but can be soothing. When you are comfortable with your skin, that confidence comes through in a natural glow. Many people have never experienced a facial. A facial makes a great gift for someone you love. 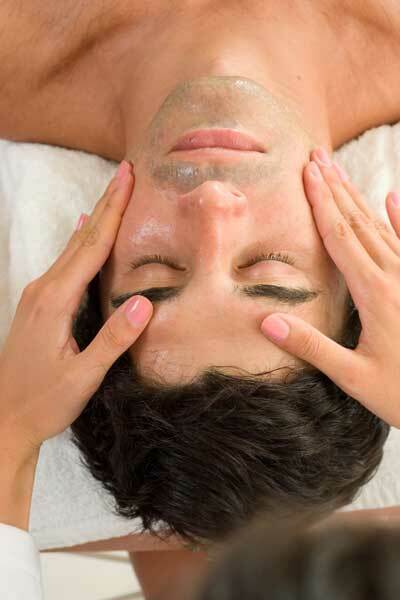 Facials are great for both men and women, and a facial is a great introduction to skin care for a teenager. What are the medical benefits of a facial? Facials are skin treatments for the face, generally given by licensed estheticians, that maintain and improve the quality of the skin. Facials tend to include an analysis of the skin, followed by a series of cleansing methods of the skin, exfoliation, a facial massage, steam and a cream or moisturizer. While facials have a variety of benefits for the skin on the face, there are also many health benefits as well. Read on to find out more about the health benefits of a facial. According to the New Life Journal’s “A Facial it’s More Than Meets the Eye” by Julie Pagano, facials regulate the immune system, aid in detoxification, reduce the amount of fluid that has built up in the body, and aid in stress relief when it includes “aromatherapy, lymphatic drainage, exfoliation treatments and acupuncture.” Lymphatic drainage helps release toxins that have built up in the body. Facials typically involve massages. These massages aid in blood circulation. Massages during facials also help with lymphatic drainage, and aid in the relaxation of the facial muscles which can slow the onset of wrinkles in the face. Skin cells can also be renewed by using this technique, which can also reduce puffiness and sagging in the face. bright complexion, as well as remove dirt and blackheads. Paraffin facials which penetrate deep into the skin, have anti-aging benefits, too. Additionally, when a face mask is applied to the skin during a facial, it helps tone and clarify the skin. Express Facial $75 50 This facial is a great option for someone who’s on a budget, but wants to maintain the beauty and luminosity of their skin. It includes a cleansing, deep exfoliation, hand massage, extractions, and custom masque. A perfect option for someone who is looking for all the maintenance without the pampering. Aura Signature Facial $105 80 This facial includes a cleanse, exfoliation, microderm OR dermaplane, hand, face, neck & shoulder massage & masque. Fountain of Youth Facial $120 110 This facial is designed for the client who is looking for results and includes some or all of the following depending on the needs of the individual: cleansing, enzyme treatment, chemical peel, microdermabrasion OR dermaplaning, microcurrent, and masque.This facial is extremely effective when done in a series of 6 on a bi-weekly basis for the prevention and treatment of acne,hyperpigmentation, and dehydration. Organic Back Treatment $65 45 This spicy treatment uses Old World spices blended with delicious fruits and herbs to detoxify and smooth every inch of the back area. A massage with extracts from the stone crop plant boosts hydration, the healing benefits of which will leave the skin silky and naturally beautiful.